Seattle built a 1.2 mile two-way protected bike lane in just 4 months and in Pittsburgh it took 4 months to announce, build and install their first three protected bike lanes. Seattle and Pittsburgh are cities with leadership (and bike advocates!) that have a strong commitment to bike infrastructure, evident by the quality and speed at which they're building. While local conditions will always vary, seeing cities quickly building quality bike infrastructure demonstrates what is possible with committed, forward thinking leadership. What do we love about how bike infrastructure is getting built in Seattle? Volunteers and signs are telling people about changes. In addition to signage, like in the photos below, the local advocacy group mobilized volunteers to be stationed along the new lane at its opening to answer questions. The city continues to iterate on the design once they see how people are using it. After a new bike lane opened, the city made several changes to improve problem intersections, including improved “no turn on red” signage and changing green balls to straight arrows. They're building bike infrastructure in coordination with public transit infrastructure. For example, the two-way protected bike lanes on Broadway were created as part of the $134 million First Hill streetcar expansion. What do we love about how bike infrastructure is getting built in Pittsburgh? It's being built quickly. It took Pittsburgh 4 months to announce, build and install their first three protected bike lanes. That's really fast! Mayor Peduto has a bold, unwavering commitment to building protected bike infrastructure. He said, "It isn't the way it was in 1970. Not everyone's dream is to have their own car and be able to use it to get to work. [...] When you talk about the bike infrastructure and the investment and capital dollars to build it out, you're really not talking about bike lanes. What you're talking about is a multimodal approach to building out your infrastructure." While community involvement in these projects has been questioned, we believe bike infrastructure projects are strongest with both committed and fearless city leaders and sustained engagement with communities. And here in Baltimore, we're definitely committed to both, with a combination of efforts like #DirectDOT and our community engagement campaign for the Downtown Bike Network. The city put their money where your mouth is by passing a particularly bike friendly city budget. This included significant funding for protected bike lanes, bike infrastructure in a diversity of neighborhoods, funding for bike racks, improved sidewalks, and more. Mayor Peduto issued a Complete Streets Executive Order, which was unanimously adopted by Planning Commission, and affirmatively recommended for City Council to adopt. This ensures that a complete streets vision is carried through all city departments in the design, construction, and maintenance and use of the city's streets. They're building bike lanes within a complicated landscape of hills, bridges, narrow and non-grid streets. Pittsburgh, not unlike Baltimore, is a city with characteristics that make bike infrastructure and biking itself difficult: tons of hills, bridges, windy roads, and a strong car culture. But the city is taking that as a challenge rather than a barrier. According to Bike PGH, census numbers show that bike commuter rates doubled since Pittsburgh began vigorously installing bike lanes in 2007. Seattle and Pittsburgh demonstrate what is possible, and act as an illustration of what we can and should be asking for from Baltimore leadership. 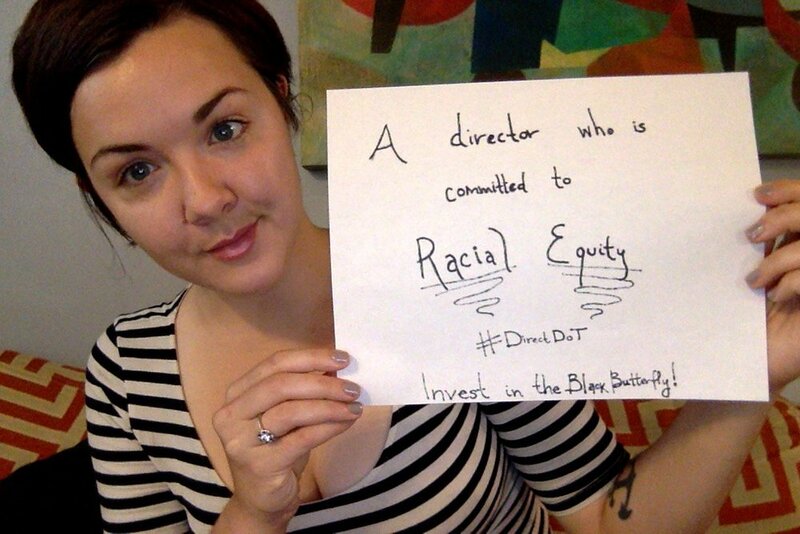 → Share your vision for a Baltimore that builds quality bike facilities on a reasonable timeline through our #DirectDOT campaign! When you pass by Roland Park Elementary/Middle School on a Wednesday in October, you're likely to see kids with crazy hair, the Loyola mascot, and an outpouring of excitement and energy as students make their way toward school. If you've ever been to a school on an early morning, you'd know that this is not typical — but Walk to School day at Roland Park isn't typical. “I feel like I belong to a community when I walk,” says Amy Bonitz, a Baltimore parent taking active steps to get her neighbors walking and biking more — and taking active steps to build the infrastructure that encourages it. Like many, she loves to walk to run errands, to connect with nature along Stony Run Walking Path, to walk her dog and even to get her kids to school. She’s thankful for the tree lined streets and sidewalks in parts of her neighborhood that make these things possible. 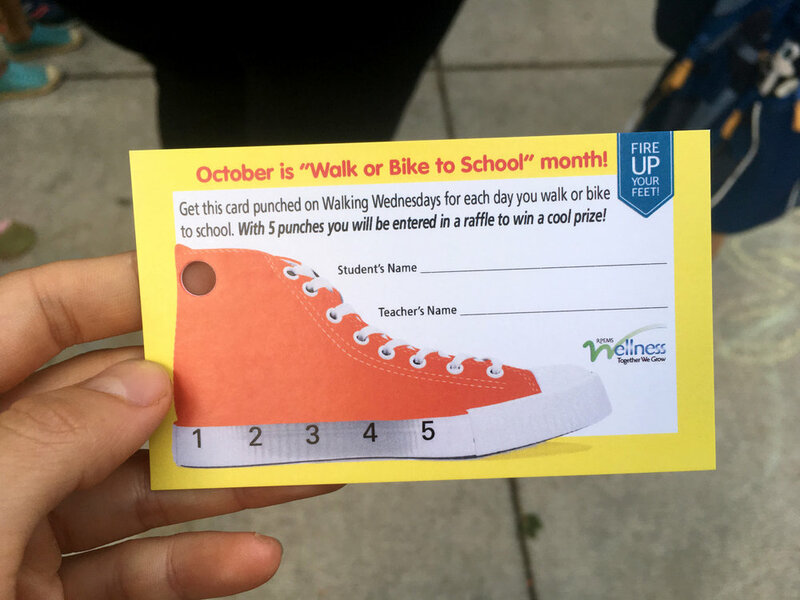 For the past few years, she’s been organizing Walk and Bike to School activities for Roland Park Public Elementary/Middle School, with about half of the 1400 students participating in annual Walk to School month in October and Bike to School month in May. “I love how excited the kids get about participating and how parents share their experiences of forming new habits of walking or biking to school,” Amy says. Amy and other local advocates organized the school community to support the creation of the Roland Park Cycle Track to help kids bike to school, but they're hoping to keep the ball rolling. 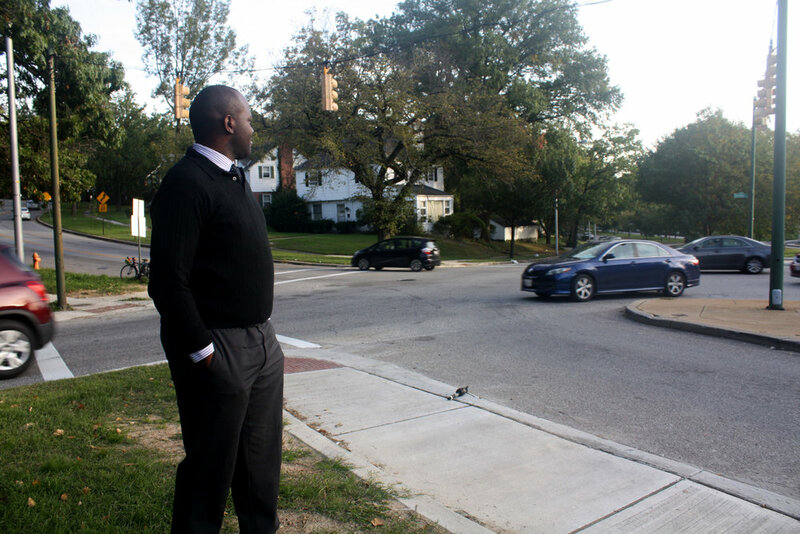 Like much of Baltimore, the biggest barriers to walking and biking in her neighborhood are “speeding cars and the challenges of crossing major arteries." But these committed volunteers need the city's support. 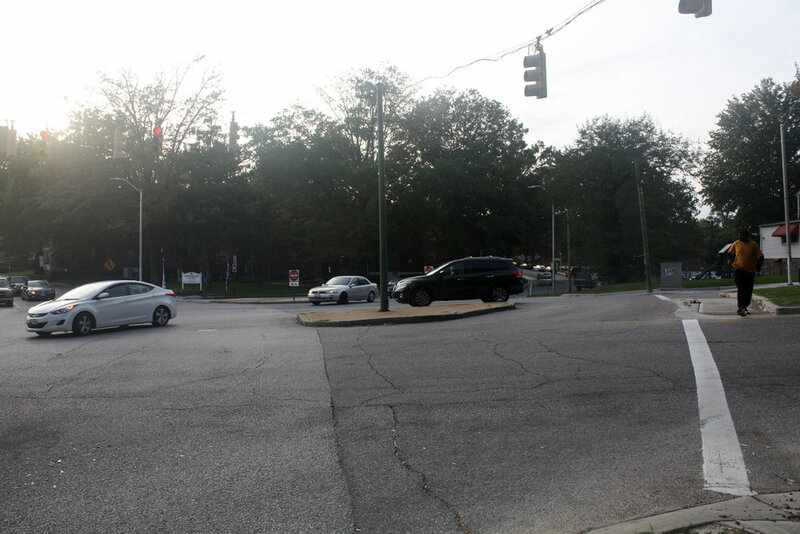 She wants help to reduce speeding throughout the neighborhood and to create real crossings for bikes and pedestrians at intersections along Northern Parkway and Charles Street. "I feel like some things are harder than they need to be like getting more bike racks for our school. I also feel like the City's Walk to School program is too formulaic and needs to support schools in developing a unique plan to meet the needs of each school." "I wish all Baltimoreans had the opportunities to walk in a safe environment with trees and adequate sidewalks and crossings. There are way too many one-way streets in Baltimore that are geared toward allowing through traffic to get through neighborhoods as fast as possible. These streets are bleak, mini-highways that undermine any sense of community for residents on either side and create a hostile environment to walk in. There are also too many non-ADA sidewalks and not enough trees and garbage cans. The ideal street in my mind would be two-way, with on-street parking and street trees. These streets would have trash cans that are emptied frequently to cut down on litter and main streets would incorporate transit to cut down on automobile use. Major streets would also have neighborhood retail or community amenities on the first floor of key buildings to activate those streets and provide nearby amenities. Bike lanes would also be incorporated in a strategic manner to link City neighborhoods together. We can't have a livable city, reduce health disparities and rebuild devastated neighborhoods if we treat streets in our poorest neighborhoods as highways whose sole job is to move traffic as fast as possible. We need two-way, complete streets in Baltimore's neighborhoods and a DOT leader who is a creative doer that feels a sense of urgency in moving the City toward a 21st century street network." The walk and bike to school days that Amy and other volunteers formally organize are only two months a year, but if you do something for a month, it tends to become a habit. Walk to school on Wednesdays in October has become "walking Wednesdays" year round for many families. While Amy and her team have accomplished a ton, imagine what a group of committed neighbors and parents could accomplish with the support of a DOT Director who has a vision that all students should be able to safely walk and bike to school. 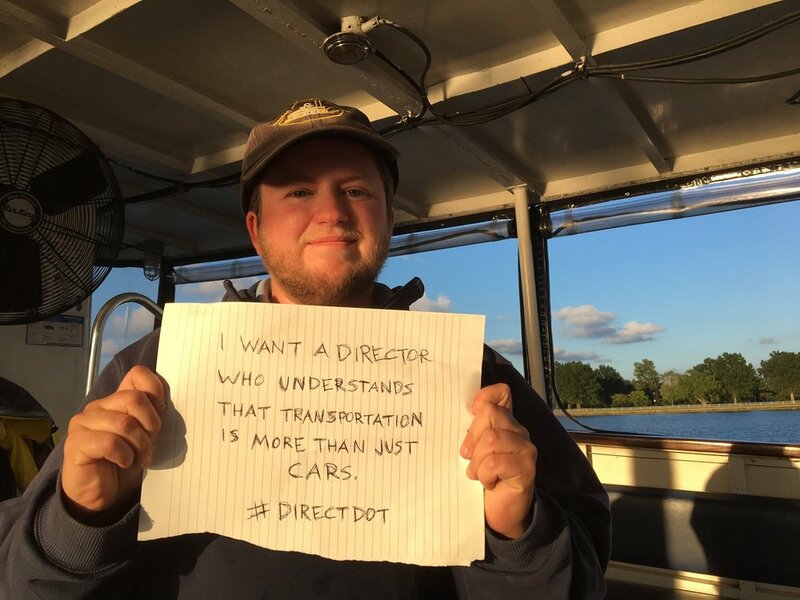 → Share your vision for streets that are safe enough for all kids to walk and bike to school through our #DirectDOT campaign! "Complete Streets are streets for everyone. They are designed and operated to enable safe access for all users, including pedestrians, bicyclists, motorists and transit riders of all ages and abilities. What's the status of Complete Streets in Baltimore? Building complete streets requires both leadership (like mayors and DOT directors) that is dedicated to it and policy in place that directs the city, its planners and engineers to design complete streets. In late 2009, Mayor Sheila Dixon’s Bicycle Advisory Committee worked with Councilwoman Mary Pat Clarke to introduce a Mayor and City Council Resolution for Complete Streets. The bill sat for several months. With advocacy from the bicycle community, the bill came out of subcommittee in December of 2010 and was subsequently passed by the full City Council and signed by Mayor Stephanie Rawlings-Blake. At the time, Baltimore was on the leading edge of cities passing complete streets legislation that prioritized multi-modal transportation options on city streets. However, the downside of being one of the first cities to pass such legislation is that the language of Baltimore’s complete streets bill lacked specificity and contained significant loopholes. As a result, over the past six years Baltimore City Department of Transportation has routinely ignored the spirit of the complete streets legislation, resulting in planning, design, and construction of streets that prioritize moving cars over moving people — the exact opposite of what complete streets legislation tries to achieve. Planning for cars first is not just a transportation problem, it's an equity problem. Promoting private vehicle throughput over safe options for transit, biking and walking unfairly harms our most vulnerable road users, who also often are individuals in our city most in need of connections to opportunity. Bikemore is working with Councilwoman Mary Pat Clarke and the incoming City Council to introduce a new, stronger Complete Streets Ordinance that will more clearly outline the intent of complete streets, mandate certain design standards, and require DOT to report regularly on progress. While the Complete Streets Bill from 2010 was a step in the right direction, it wasn't specific enough to implement and wasn't made a priority by the administration. This new bill will be a huge step forward for Baltimore, and allow us to catch up to neighboring cities and begin to address the inequity of our roadway planning. Paired with a visionary complete streets leader to #DirectDOT, we will be empowered to implement world-class complete streets treatments in Baltimore. 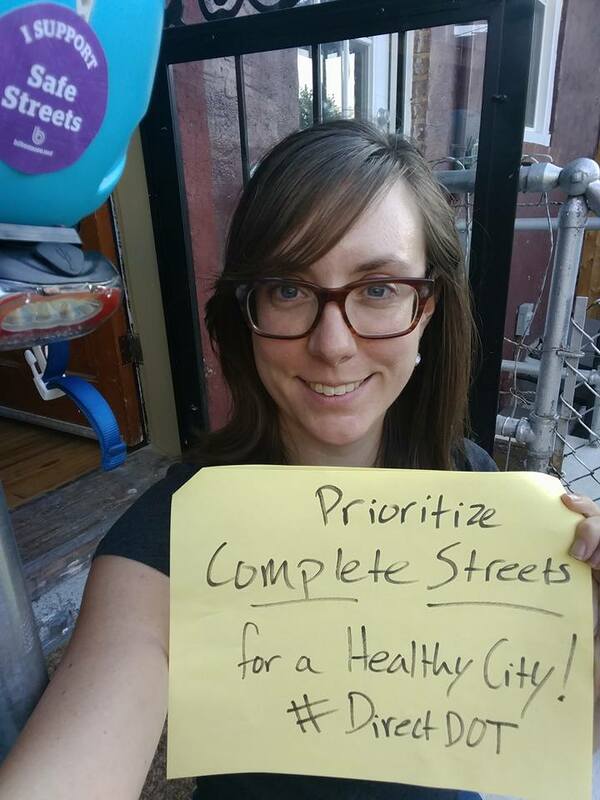 → Share your vision for Complete Streets in Baltimore through our #DirectDOT campaign! Our work achieves tangible outcomes, like Complete Streets policy, that ensures Baltimore streets are designed for everyone. We need your support to keep winning for livable streets.